When I was in middle school I decided that I wanted a tattoo sleeve. On my left arm. With only black and gray tattoos. I got my first tattoo when I was 18 – a black and gray sun with a face on the inside of my left ankle. Not exactly a perfect start to that left arm, black and gray sleeve I had wanted so badly. Then, 14 years later, that first tattoo got covered up with a purple rose. I wasn’t always a heavily tattooed mom. I didn’t get my first tattoo in a highly visible spot until Patrick was 5 months old. I got lucky and married into a tattoo family. Both my husband and his brother are tattoo artists. As an early Christmas present my brother-in-law tattooed a pink lily on my inner right forearm in 2006. Shortly after that I got to work on my left arm, thanks to my talented husband. By the time I got pregnant with my daughter in 2011 I was well on my way to being covered in ink. My Mother-in-law would always call me the “Tattooed Lady” and I told her, tongue in cheek, it was all part of my back-up plan in life. If nothing else worked out I could always join the circus and be the next “tattooed lady”. Since that photograph was taken I’ve added on even more tattoos to my arms and legs. My daughter has never known me to NOT have tattoos and she’s a huge fan of them. Hell, my daughter’s first word was TATTOO – not mama or dada! My son has been able to watch them appear and he’s a fan of them, too. I can honestly say that I have experienced motherhood from both sides of the coin. I started out as a barely tattooed mom and ended up being a heavily tattooed mom. Regardless, I’ve always been a loving mom. Being a heavily tattooed mom is not much different than being a lightly tattooed or non-tattooed mom; for the mom at least. We all love our children, want to see them succeed, put their needs above our own, and so on. 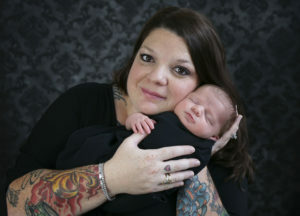 Like I’ve said before – all moms are judged but, tattooed moms are judged even more. We’re colorful – literally and figuratively. Moms with tattoos tend to be more open-minded, creative, and accepting. Wouldn’t you agree those are all good things to teach children? I certainly think so! I want my children to always have an open mind, be creative, and always be accepting of and kind to others. Tattooed moms have the same worries and fears as non-tattooed moms. We share the same milestones and triumphs in our children’s lives, too. Society may assume that we are cold, callous, and ill-prepared for motherhood but, we’re moms just like the rest of them. We’re still crying during the Pre-K Christmas concert, cheering loudly at school sports events, and applauding proudly when each of our babies reaches their milestones in life. The side-eye looks that I would get at the grocery store. The looks of shock and horror from the Sanctimommies when they realized that I was the mother of the children that were following me around. The loudly whispered comments on my appearance. All of these things helped to lead me to creating the Tattooed Moms Club. Why shouldn’t we have our own club?! The moms at the playground are too afraid of us to strike up a conversation. Hell, we’re usually too busy enjoying life to really care. But, wouldn’t it be nice to have a place to go where we knew like-minded moms would be? Where we would feel comfortable striking up conversations. Free to share our frustrations without fear of judgment. And for the love all of things – the ability to VENT freely! Let’s face it – we all need to vent. Life can be hectic and overwhelming. Since most of us have experienced societal judgment at one time or another it is safe to say we are able to band together to support one another – as moms, as tattooed ladies, and most importantly as human beings. We can feel confident that the members of the Tattooed Moms Club will understand us, support us, let us have our meltdown, and help us put ourselves back together again when we’re done. Which, after all, is what ALL mothers should do for each other. After all, we are all ultimately part of the same club – The Moms Club. The only thing separating us from them is the beautiful artwork and eye-catching colors painted all over our skin. Tattoos are the souvenirs of our lives. Instead of trinkets on a dusty shelf, we carry ours on our bodies for the world to view. We want to see other mothers succeed at this mom thing. We want to support each other when we’re feeling unsure. Laugh with each other at the funny stuff. And have discussions where we can share our opinions and create open-minded conversations. None of us have the Manual to Motherhood. We’re all just winging it. 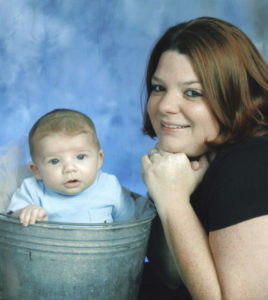 Prev post Featured Tattooed Mom: Megan B.